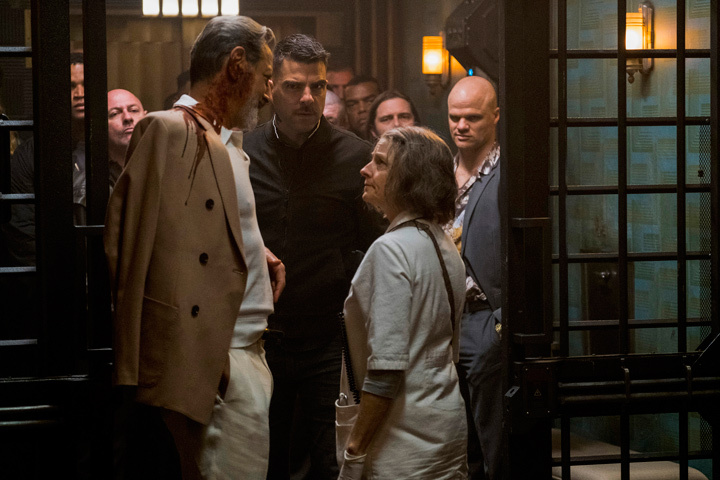 Propelled by a bravura performance by Jodie Foster, “Hotel Artemis”, a film noir set in near-future Los Angeles, delivers the goods. The film opens by informing us that it is June 21, 2028. Water has become privatized and is controlled by the Clearwater company, whose rates are presumably much higher than your average water bill today. News voiceovers reveal that a recent action by the company has led to riots in Los Angeles. Amid this backdrop, a robbery is occurring which has become botched up since the manager cannot open the vault. Plan B is deployed but as they leave the building they come under fire. Honolulu (Brian Tyree Henry), the younger brother of Waikiki (Sterling K. Brown), is shot. Both brothers have membership in the Hotel Artemis and seek refuge there. The Hotel Artemis is a clandestine medical facility for the criminal underworld. Located on the top and 12th floor of an abandoned building in LA, membership is required for admission. No weapons are allowed nor is harming anyone else who might be resident at the time of admission. Since the film is set only 10 years ahead in the future, it becomes clear that technology has progressed apace. Nanites are now available for medical treatment. Both broadcast and personal communications have advanced as well. The establishment is run by Nurse (Jodie Foster), who has been the resident there for 22 years. Her assistant Everest (Dave Bautista) is, as he often reminds the viewer, a certified healthcare professional who doubles as muscle in case of trouble. Once admitted, characters assume the names of the rooms in the hotels. Hence, Honolulu and Waikiki. Also present are Nice (Sofia Boutella), pronounced like the city in France, who is suffering from a gunshot wound that Nurse detects is self-inflicted, and Acapulco (Charlie Day), an arms dealer. Nice is later revealed to be a seasoned, expert assassin. Matters get complicated when Nurse is contacted via an outside camera by an injured police officer (Jenny Slate) who refers to her as “Mrs. Thomas.” Clearly this is someone from Nurse’s past. 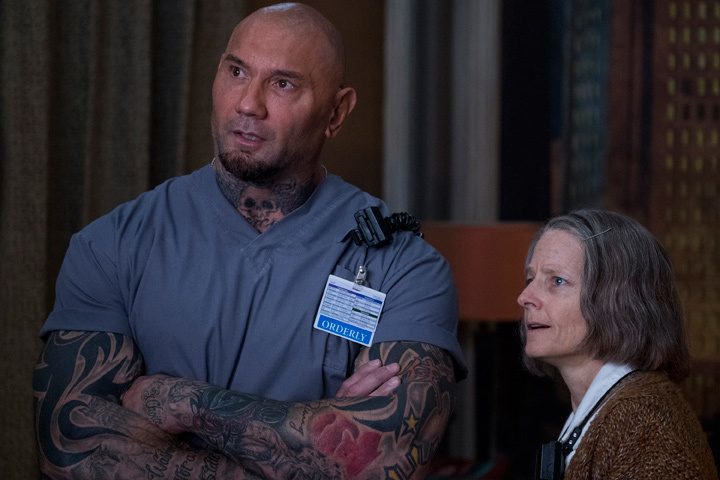 Admission of police is forbidden at Hotel Artemis so Nurse must decide if she is going to break the rules. 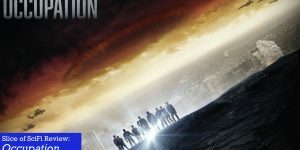 A further twist occurs when Niagara (Jeff Goldblum), aka the Wolf King, the ruling drug lord of LA, who set up and financed the Hotel, needs to be admitted for medical treatment. Honolulu, at his robbery, took a fancy pen from a victim that turns out to contain contraband valuable to Niagara. Its possession is a guaranteed death sentence from the Wolf King. The movie is anchored by Jodie Foster as Nurse. This is easily one of the best portrayals by Foster in her long career as she completely inhabits her character. She carries off the world-weary and no-nonsense aspects of Nurse brilliantly. Her performance is enhanced by such nuances as her posture and gait. Nurse has had a troubled life. Foster is able to plumb the depths and range of emotions that this troubled soul has had to face both in the past and in her current situation. Sterling K. Brown is exceptional as well as Waikiki. As the older brother, his life goals have been hindered by cleaning up the messes of his younger dysfunctional brother Honolulu. But his love for his brother is clearly evident. Dave Bautista also deserves special note. His acting always seems effortless and he is so comfortable with his physicality. His scenes with Nurse and their interactions together are a high point of this film. As usual, Jeff Goldblum takes a small role and makes it his own. His presence is always welcome on the screen. I thoroughly enjoyed the premise of the screenplay. The issue of water availability already has been posed as a future problem so this is highly believable. 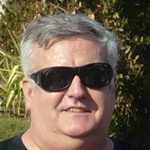 The dialogue is well-written and the story is engaging. 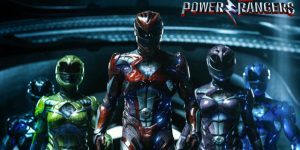 Given that each character does not receive a large amount of screen time, the actors are able to flesh out what they are given to make each one interesting. The film noir aspects come largely from the superb cinematography and sets of the film. The hotel scenes are lit in such a way to give a slightly seedy and ominous feel to the proceedings. The sets, especially the interior of the hotel, are marvelous. The establishment looks like it could be set in the 1930s or 1940s. It has a wonderfully louche feel. On the downside, the confluence of the perfect storm that occurs might seem overly coincidental to some. But such events do happen in real life so this seems a minor quibble given all the other positives of the film. Nice, the assassin/hitperson, who is supposed to be so expert at her job, leaves some loose ends that seem out of character. Zachary Quinto, in his role as the son of the Wolf King, has very little to work with and his character is underdeveloped. But one can see why he wanted to be in this film and get to work with the other actors involved. 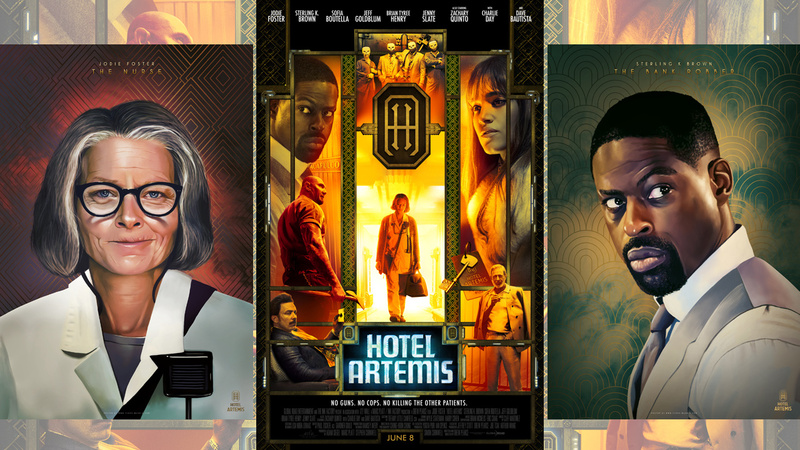 It is worth booking a room at the Hotel Artemis. If nothing else, the chance to see Jodie Foster at her best makes the visit worthwhile.